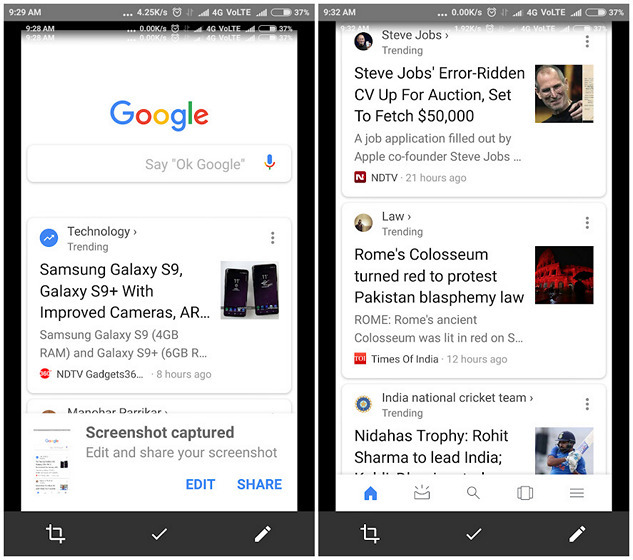 Google last year started testing a built-in screenshot editor within its main search app to edit and share screen grabs, but it’s only recently started rolling it out to users in the beta version. Now, some Redditors are claiming that the feature is working for them even in third-party apps such as WhatsApp and Slide for Reddit. For me, however, the feature only worked within the Google app, and not on any other application. It’s also worth noting here that while some reports claim that the feature works throughout the Google app, including web pages viewed through Chrome Custom Tabs, it only worked for me when I took screenshots of the Google Feed and Search results, not on actual webpages viewed within the app. There also seems to be some amount of confusion about the exact version of the Google app that enables the system-wide availability of the feature, with some claiming that it’s only available in version 7.22.19.21 (beta). However, for me at least, the latest beta available on the Play Store was version 7.22.17.21, so perhaps upcoming versions will enable it system-wide, although, we can’t say that for sure. 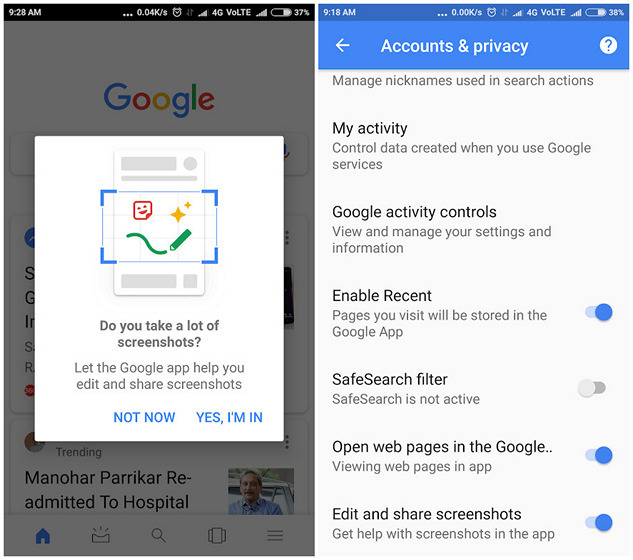 Either way, you can enable the feature by joining the beta program for the Google app. Then head over to the app’s Settings > Accounts & privacy > Edit and share screenshots, to enable the functionality. As can be seen, the editor is fairly basic at this stage, but hopefully, it will become more functional going forward.